William A. 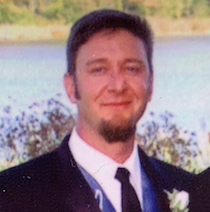 “Bill” Mulry, age 50, of Little Chute, passed away unexpectedly at his home on January 15, 2019. He was born on October 29, 1968, son of Dan and Laura (Russo) Mulry. Bill (Will to many of his close friends) enjoyed life his way. He loved spending time with his son Driver (his pride and joy), watching the Packers and playing Texas Hold’Em. He was employed with GrocerKey, Inc. as a 2nd Shift Supervisor. He always knew of the deep love and support his family had for him. All who knew him will dearly miss him. Bill is survived by his parents, Dan and Laura Mulry; a son, Driver Mulry; a brother, Bryan (Barb) Mulry and their children: Emma and Ashton; grandparents: William and Teresa Buck; numerous aunts, uncles, cousins and many friends. Bill was preceded in death by his grandparents: Basil and Vera Mulry. A memorial gathering will take place from 4:00 p.m. until 6:00 p.m. on Monday, January 21, 2019, at the Verkuilen-Van Deurzen Family Funeral Home Little Chute location, 101 Canal Street, Little Chute. For online condolences, please visit www.verkuilenfh.com.